Your port town, Civitavecchia is 50 miles northwest of Rome and is the gateway for all of its famous sites. Most people who arrive in Civitavecchia are merely passing through or visiting for the day, however, it will give you just a taste of what's to come since right at the front of the port area are the remains of Forte Michelangelo. The fort was built in 1535, Michelangelo himself designed the upper eight-sided tower. Also within walking distance from the forte is the Vanvitelli Fountain from 1740, an Archaeological Museum, a cathedral that dates back to 1610 and the Baths of Traiano dating back to 400 AD. Air-conditioned and licensed round trip transportation from the Transportation Hub at the Civitavecchia Cruise pier! Free time at St Peters Square, The Vatican City! Sightseeing of Piazza Venezia, Capitoline Hill, Ruins of Circus Maximus! Photo stop at the Colosseum! Walking visit to the Trevi Fountain, Pantheon and Piazza Navona! Enjoy this Civitavecchia full-day excursion and discover classic Rome and see for yourself why this city is one of the most amazing places in the world! 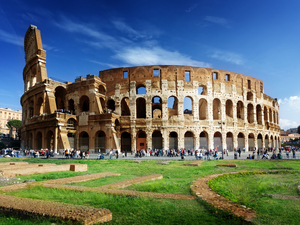 You’ll have the chance to see the best places such as the Vatican, Colosseum, Trevi Fountain and much more! Round trip transportation from the Transportation Hub at the Civitavecchia Cruise pier! English speaking certified driver/guide for groups of 8 or less! Driver and separate English speaking certified guide while in Rome for groups of 9-30! Walking excursion of Old Rome! Free time at St. Peters Square in the Vatican City! Escape the cruise ship shore excursion crowds and enjoy unique sights of Civitavecchia and surrounding area! Escape the large overcrowded ship excursions. 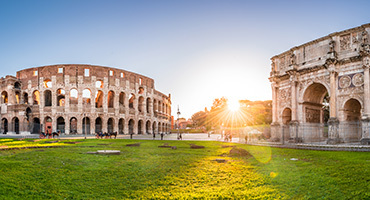 Enjoy this Civitavecchia small group excursion with exclusive highlights of the Eternal City of Rome with your included interior visit of the Colosseum on this full-day excursion. Round trip transportation from your Civitavecchia Cruise pier! Private English speaking licensed driver! Admission into the Vatican Museums, including the Sistine Chapel! 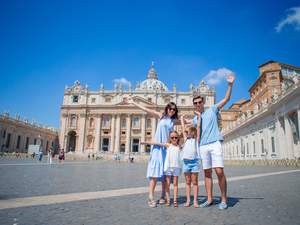 Guided private excursion of Vatican Museum and St. Peter's Basilica! Stops to see several of Old Romes most famous sites! Free time in Old Rome! Escape the cruise ship shore excursion crowds and enjoy unique sights of Rome and surrounding area! Out of Civitavecchia, you'll enjoy a private excursion of the Vatican Museums, St. Peter's Basilica and Square, bypass the long lines and enjoy more time for sightseeing, including a visit to Old Rome. Roundtrip private transportation from your Civitavecchia Cruise pier! 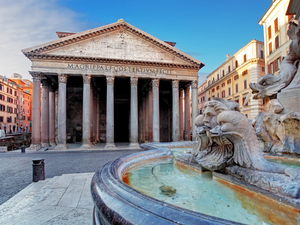 Visit the Trevi Fountain and Pantheon! Free time at St. Peters Square in Vatican City! Escape the cruise ship shore excursion crowds and enjoy unique sights of Rome and the surrounding area! Private excursion of Rome's Highlights with a private driver/guide and transportation for your small group. Get in and out, less lines with more time for sightseeing, shopping or getting inside the monuments. Round trip transportation your Civitavecchia Cruise pier to the transportation hub then to Rome! 6-hour in Rome to explore on your own! Want to see Rome from Civitavecchia with a low cost round trip transfer? 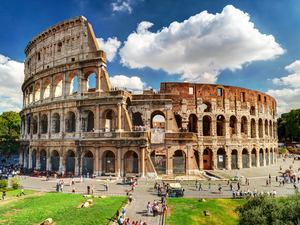 You'll enjoy a scenic drive to Rome with 6 hours to explore the Eternal City on your own before the return trip back. Round trip private transportation from the Transportation Hub at your Civitavecchia Cruise pier! Admission into the Vatican Museums including the Sistine Chapel! 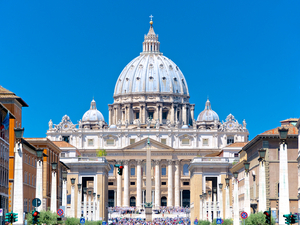 Guided private excursion of the Vatican Museum and St. Peter's Basilica! Walking excursion of Old Romes most famous sites! A private, guided excursion of the Vatican Museums, St. Peter's Basilica and Square, and Sistine Chapel will get you in and out with more time for sightseeing including a visit to Old Rome. 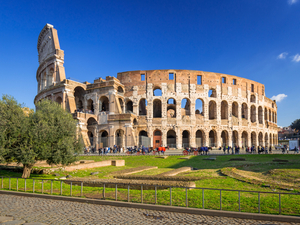 Enjoy your day in Civitavecchia with this super exclusive excursion, with a limited capacity of 8 guests, you will see the top sites in Rome including the fabulous Colosseum and St. Peter's Square! Private air-conditioned fully licensed and insured transportation! Private English speaking certified driver! 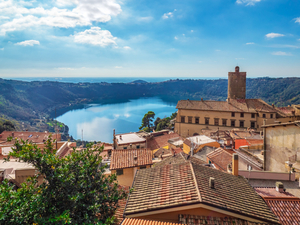 Visit Nemi, Frascati, and Castel Gandolfo! Customize with more time at one stop, less time at another! Explore the stops on your own and leisure with suggestions from your driver! 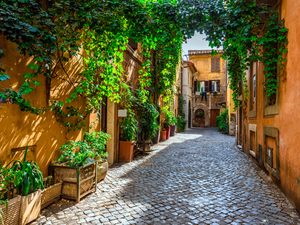 Enjoy a unique day in the Roman countryside on this private customizable adventure to Nermi, Frascati, and Castel Gandolfo with your private transportation. A full day of fun in Rome! Walking tour of Old Rome! Free time at St. Peter's Square in the Vatican City! A private excursion for groups of 9 or more guests. See the Highlights of Rome including an interior visit to the Colosseum with your own personal guide with less lines and more time for sightseeing. Round trip private transportation from your Civitavecchia Cruise pier! Private English speaking licensed driver and guide! Free Wi-Fi and bottled water on board! Guided visit to Hadrian Villas and Villa D'Este! 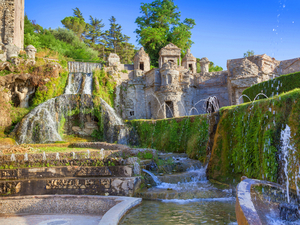 A private full-day excursion from Civitavecchia to explore two UNESCO world heritage sites in Tivoli, the famous Hadrian's Villa and Villa D'Este. Two magnificent places in a very beautiful city. Free time at Trevi Fountain and Navona Square! See the best of Rome! 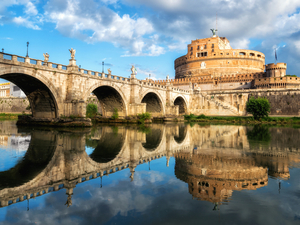 A full day self-guided excursion to explore the best sites of the Eternal City. Transportation and maps included.